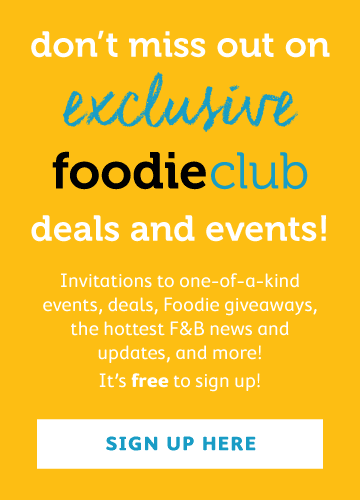 Are swirling and slurping professional or pretentious? In a formal dinner setting, there are usually three glasses. 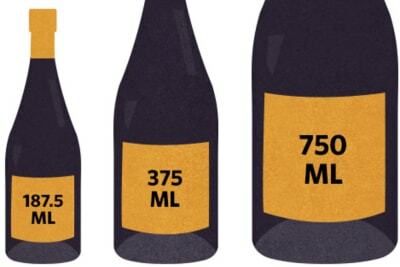 The biggest one is always for water, the second-largest one is for red wine and the smallest one is for white wine. When pouring wine, fill the glass to a maximum of one-third full. For red wine, it’s best to pour until the wine reaches the widest part of the glass. This allows the aromas to evaporate and be captured in the glass. For white and rosé, you can fill the glass slightly more, but still no more than half; wine warms up in the glass and tastes less refreshing. Sparkling wine is usually filled to about two-thirds full to allow the bubbles to rise gracefully, but never to the rim. 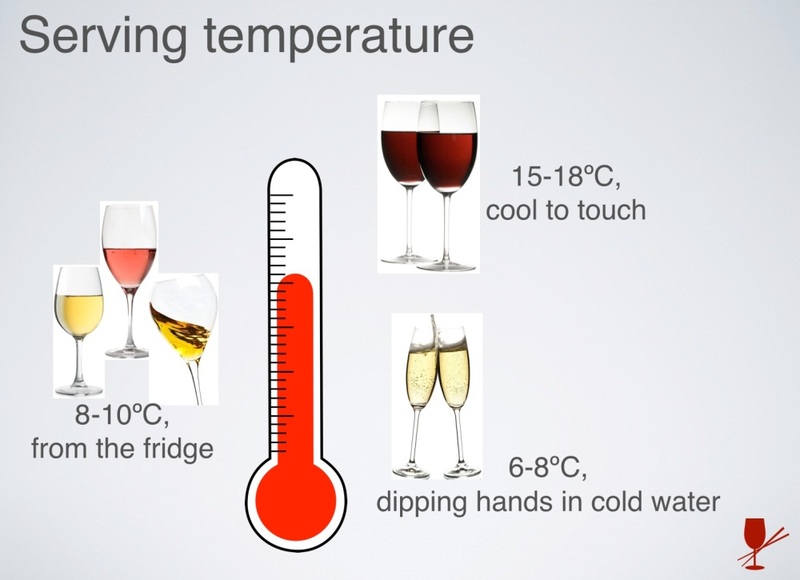 In order to be enjoyable to drink, wine should be served at the correct temperature. For red wine, this is about 14–18ºC (cool when touching the bottle). If it’s too warm, the alcohol is more apparent and the wine feels heavy. 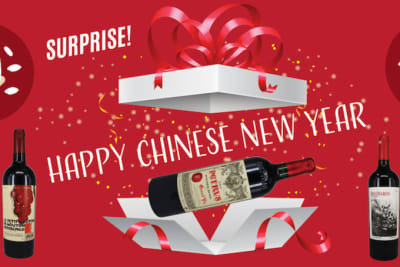 If it’s too cold, the tannins are amplified and the wine tastes astringent. White and rosé should be served at about 8–10ºC (cold when touching the bottle). These wines lack freshness when they are too warm, but the aromas are hidden when they’re too cold. Sparkling wine is best served at 6–8ºC (ice-cold water) to ensure that the most bubbles are being released. People swirl wine for a reason: to release the aromas that may not be detectable if the wine is closed. However, we only swirl wine if we cannot smell anything, and we should swirl gently. Wine aromas are delicate, and if you swirl too vigorously for too long, all these aromas will be gone and you will end up having nothing at all to sniff. The correct procedure is to sniff first. If you can’t smell anything, swirl gently and sniff again. Sometimes it’s better to leave the wine in the glass undisturbed and let the wine take its time to express itself. The one thing you should never do is swirl the glass non-stop. 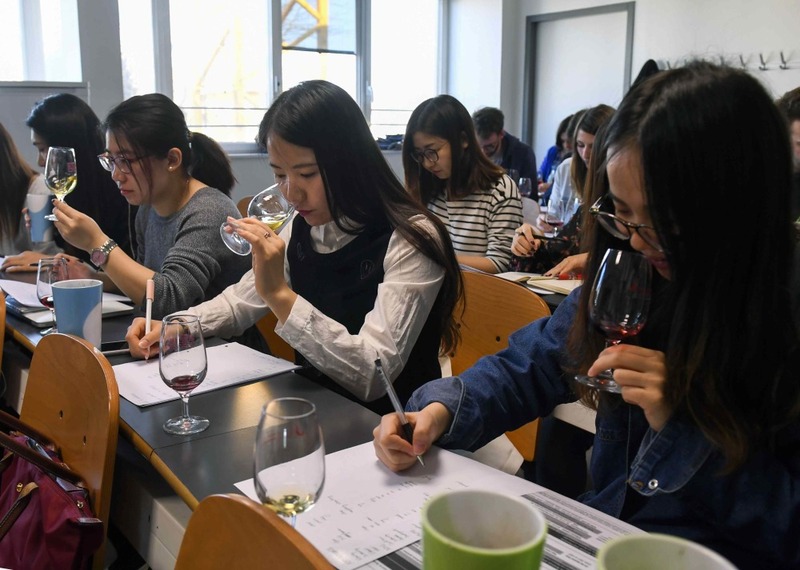 If you attend a wine-tasting class, your instructor will probably ask you to take a sip of wine, then swirl it around your mouth while breathing in to make sure that the wine touches every part of the mouth, making a funny slurping noise in the process. While this may be appropriate at a wine class or tasting, it is not polite at the dinner table. 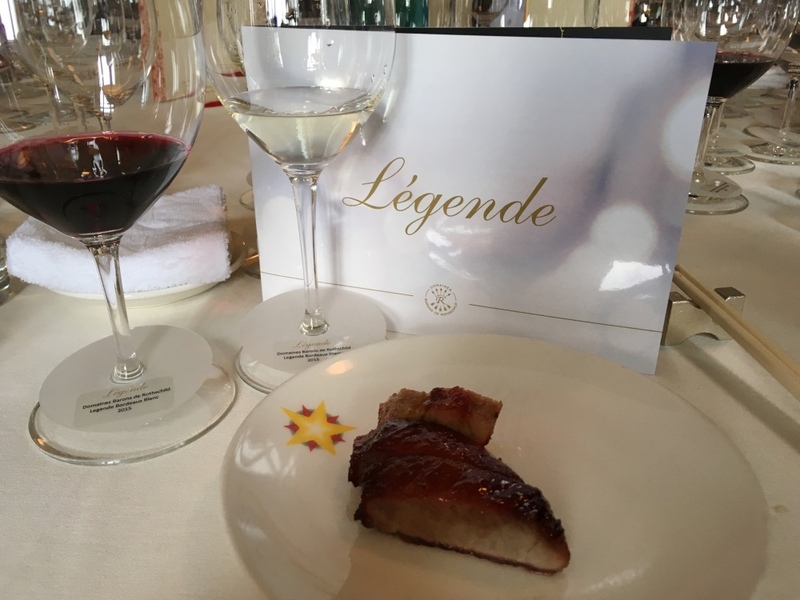 It’s true that wine must be in contact with most of the mouth in order to get the full sensation and interaction between alcohol, sugar, acidity and tannin, but we don’t need to make a loud slurping noise. Instructors only do this to demonstrate the point. A glass for every wine? 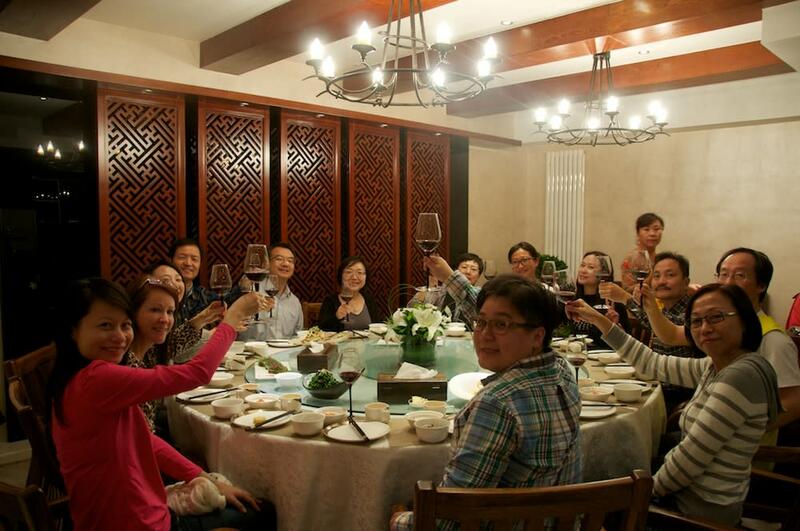 At a formal dinner, especially a wine-tasting dinner, different wines will be served in different glasses. If you want a second pour, make sure you use the same glass. Usually there will be a label (with the wine name or a number) on each glass for identification. However, when having dinner at home or a casual restaurant, there may not be enough glasses for each wine. I would suggest having two glasses per person if possible, one for white and one for red. 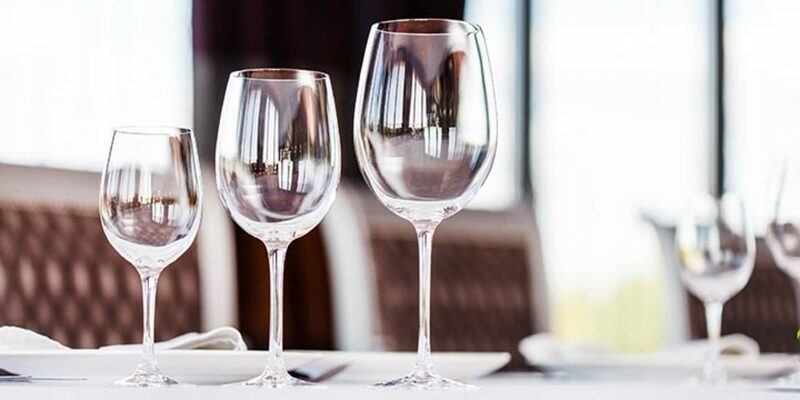 Asian cuisines often serve a few dishes at the same time, and with a white glass and a red glass, you can choose whichever colour wine you prefer with the dishes, in any order you like. Of course we can still enjoy wine and food if there is only one glass per person. Just make sure that the glass is empty before pouring a different wine (you don’t want to blend the wine – that’s the job of the winemaker!). Some people like to rinse the glass with water in between, but this is not necessary. The few drops of residual wine will not affect the taste of the new wine. 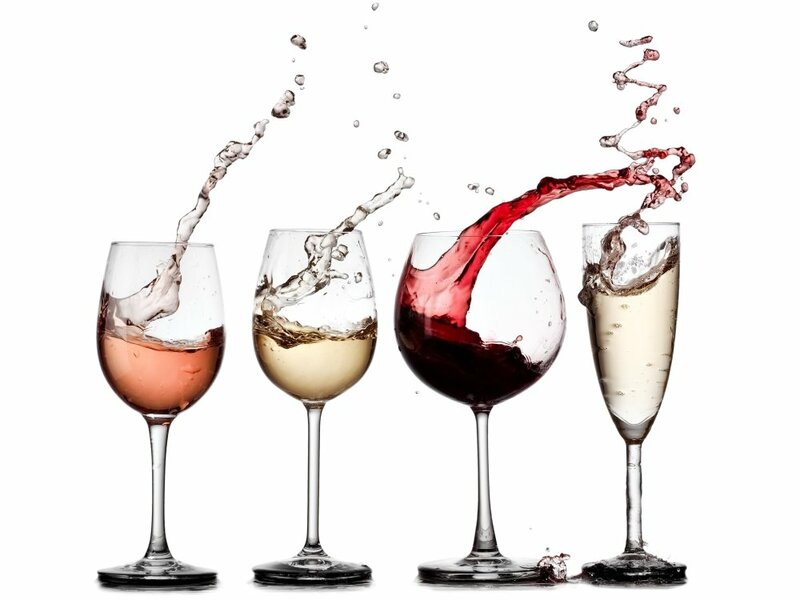 The only time you may want to rinse the glass is when having white wine after red or when having a dry wine after a sweet one. 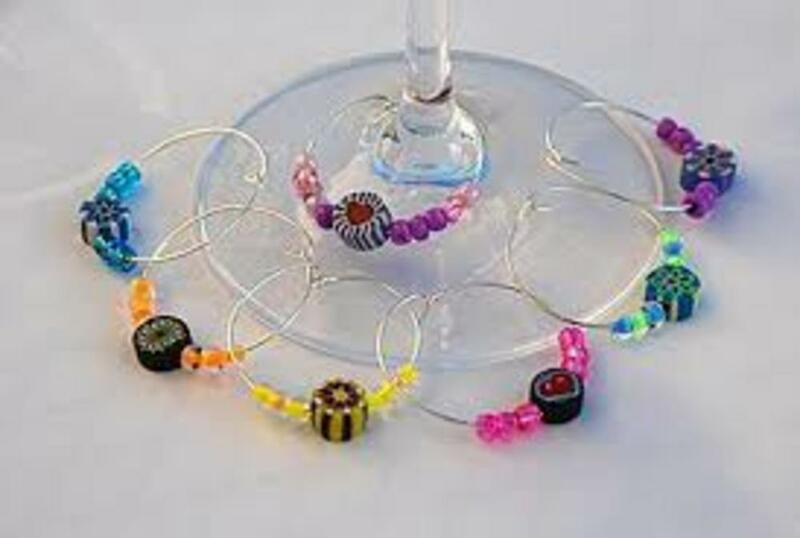 Wine charms are useful when entertaining at home so that guests can identify their glasses. If you don’t have wine charms, you can make marks on the glasses (just make sure you can wash off the marks! ).